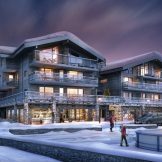 Skiingproperty.com is delighted to offer one of the most exclusive addresses in Les Gets, we are delighted to offer these new apartments which are located in the town centre right on the Front de Neige, the first new property to be built in such a location in decades. 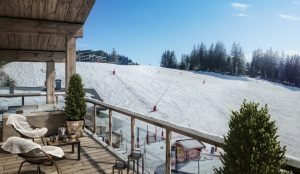 A traditional resort, its alpine spirit is upheld with its beautiful Savoyard architecture and design which help to retain the village’s irresistible charm. 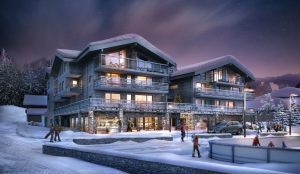 Luxurious properties of this standard are rare in the village, with only a few being built in the last few years, making this a great investment. 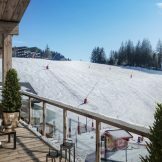 It is located just 60 minutes from Geneva International Airport, the village of Les Gets, one of Portes du Soleil’s most popular, is easily accessible from other European cities, attracting families and avid skiers. 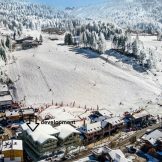 This is a year-round resort which is part of the world’s second largest ski domain, with access to over 600 kilometres of piste for all levels. The summer months are just as important in this region, with an impressive number of activities available including mountain biking, canyoning, horse riding and paragliding. 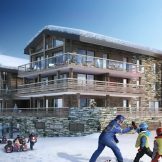 These wonderful homes are situated only metres away from 3 main ski lifts, the owners of these apartments will be able to ski in and out of the building’s ski room immediately onto the slopes. 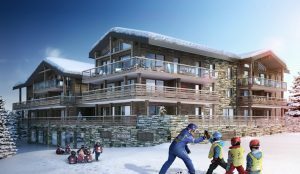 The development also has the added benefit of being right in the heart of the resort, meaning all local amenities including shops, restaurants and bars are just a short walk away. The town’s ice rink is also directly opposite, making this an ideal choice for families with younger children. 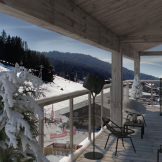 The 18 apartments boasts interiors of 45.5 to 160.41 square metres ranging from studios to five bedroom apartments all of which offer beautiful views of the mountains, or across the resort. These spacious units have been designed with comfortable living in mind and come with fully equipped kitchens. Residents will get one parking space included with each apartment, and extra spaces are available to buy if needed. 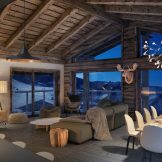 Concierge service is on hand for all owners needs including airport transfers, ski packages, house cleaning and even a private chef. Owners also have the option of using the management service to rent out their property when they are away. 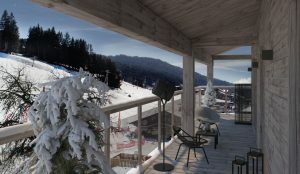 Studio's to five bedroom apartments, from 45.5 to 160.41 square metres, priced from 539,000 to 2,249,000 euros.